We hope you've been enjoying all the sneaks so far! I used a 8x10 kraft bag from Hobby Lobby. Love using these to decorate! It really makes a gift feel special. 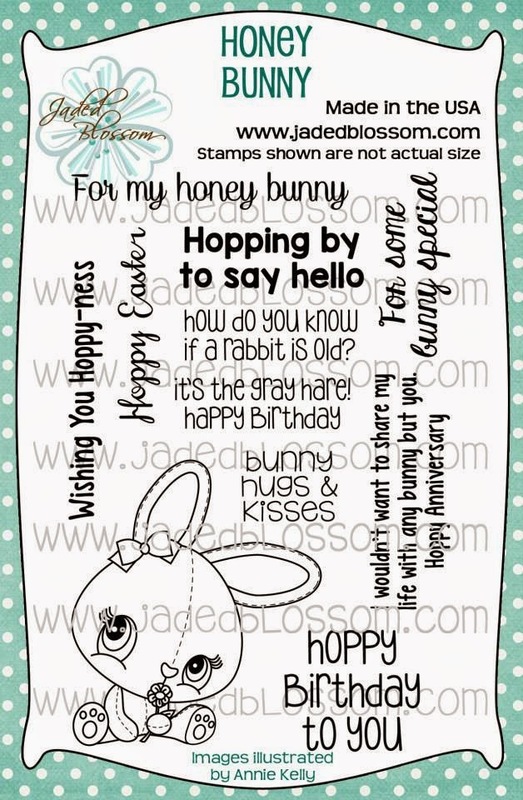 The adorable bunnies are new from SVG Cutting Files. Thanks so much for checking out my bag! Make sure to head over to Jaded Blossom to see what the rest of the team created. Wow! What a cute way to dress up a kraft bag! That is a gift in itself! 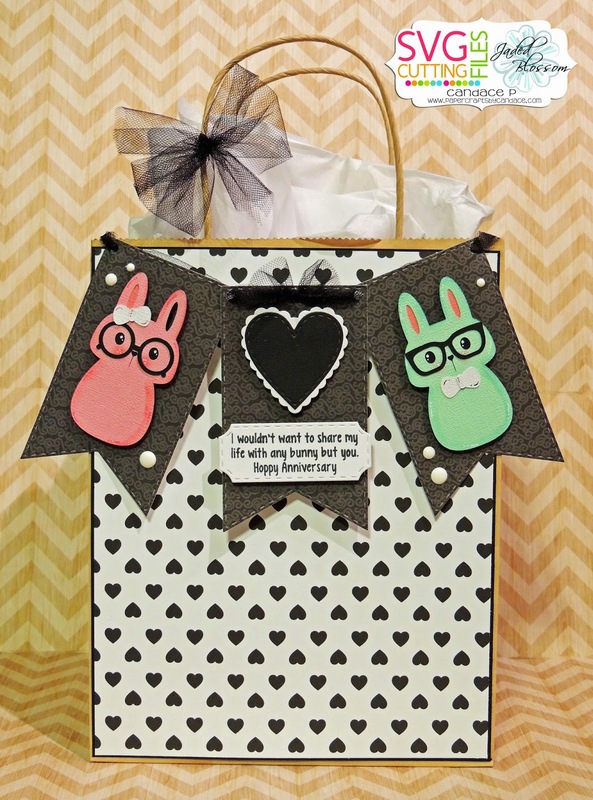 Love the adorable bunnies and fun sentiment! This is perfect! The heart printed bag is so pretty with that fabulous banner! well i hope he doesnt read your blog ..... mmm how much to keep me quite? yes super cute bag !! OMGoodness! 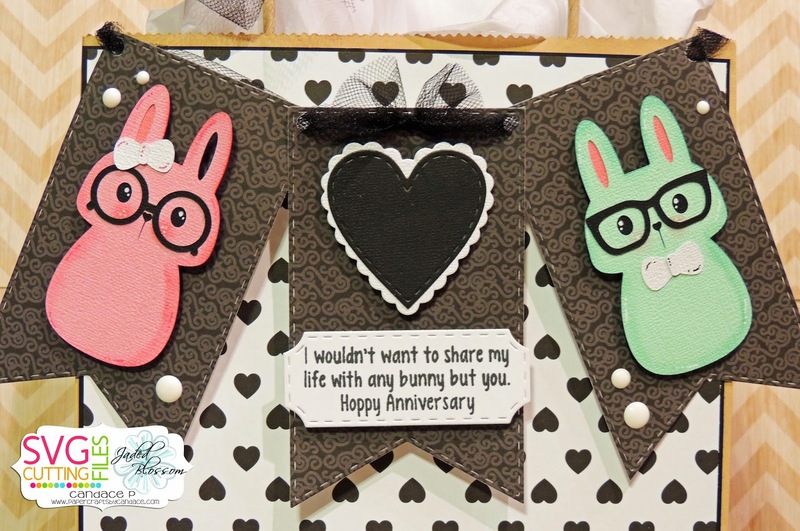 I love those nerdy bunnies!! THis is the best gift bag!